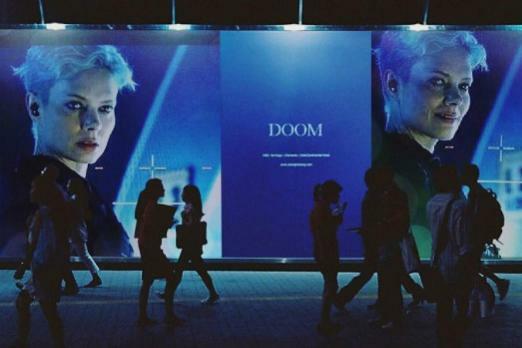 Rumors of a Diablo animated TV show are once again circulating the community as fans believe they have found what may be proof of the project moving forward. 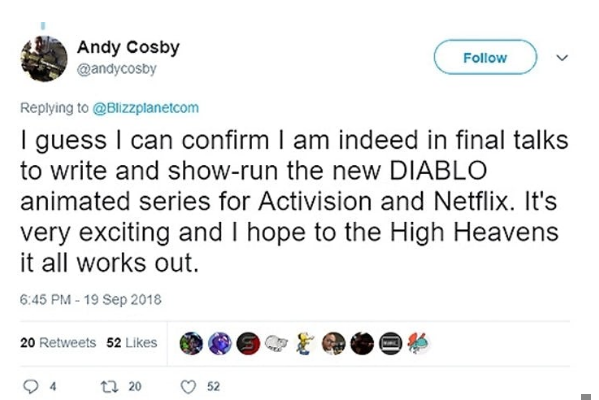 The rumor started back in September 2018 when Andy Cosby, in a now deleted tweet, "confirmed" that not only was he going to write for a new Diablo animated series, but that he would also serve as the showrunner. 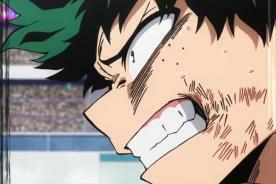 Said series was expected to be shown on Netflix. Andy Cosby is the co-creator of Eureka on SyFy and wrote the screenplay for the upcoming Hellboy movie. Since then, there have been no updates on the possibility of such a show, with Blizzard not providing any hints during BlizzCon. The latest news come in the form of a trademark registration with the U.S. Patent and Trademark Office. 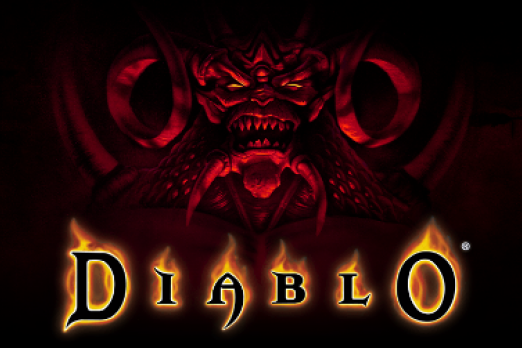 The trademark registration was for the word "Diablo" and was filed by Blizzard last March 8. 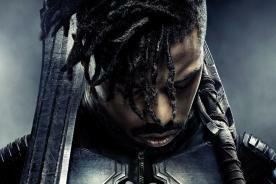 In the same filing, it was declared that the trademark would be used for "production and distribution of television shows and movies" or "downloadable films and movies featuring narratives based on a video game and provided via a video-on-demand service." While there are a number of companies that offer streaming services, Netflix has one of the largest number of original content series compared to others. Netflix recently released the second season of Castlevania and it has already been confirmed that the streaming giant is developing an anime based on the hit Dragon's Dogma. Similarly to what he did last year, Andy Cosby once again sent out a rather cryptic tweet. Diablo is a hack and slash action role-playing game released by Blizzard back in 1996. The game follows the story of a hero who eventually battles against Diablo under Tristram. It has since been declared as on the greatest games of all time. A sequel, Diablo II, was released in 2000 and instead of one dungeon, the story now followed four "Acts." This would take the hero to different regions in the world of Diablo. The third game, Diablo III, was released in 2012 and is now accessible online. There are no updates on whether Blizzard will launch a fourth game, although expansions have been released for both Diablo II and Diablo III. In the latest BlizzCon, Blizzard revealed plans to have a mobile version of Diablo, which was not well-received by many fans citing, among many other issues, that it would become a pay-to-win game. 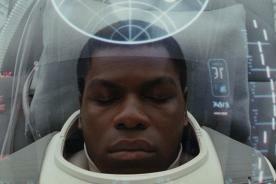 Should the TV series ever come to fruition, fans hope that at the least it remains loyal to the game that inspired it.